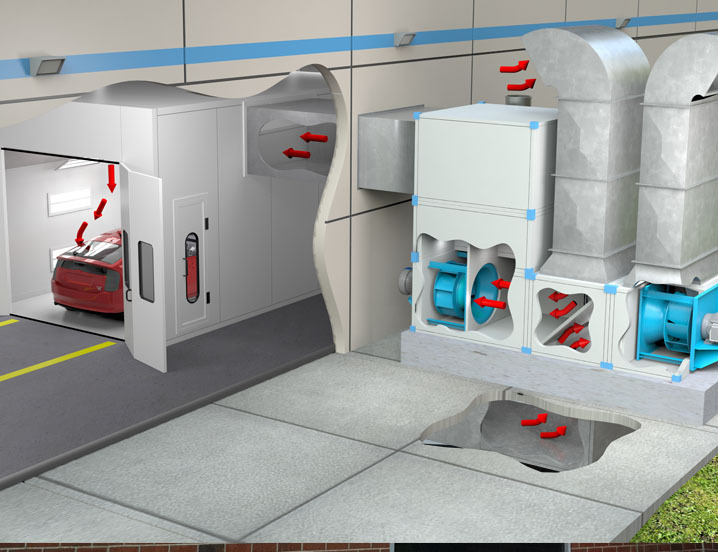 When removing fumes and overspray from paint booths, precise airflow is critical to an operation. The velocity must be low enough to keep consistent flow in and out of the spray booth, but at the same time the velocity must be high enough to carry the fumes and paint overspray out of the work area. Another common feature on booth exhaust fans is the ability to efficiently clean and service the fan wheel. On centrifugal fans Twin City Fan offers an industry leading swingout design and axial fans are available in both clamshell and swingout construction for ease of cleaning. 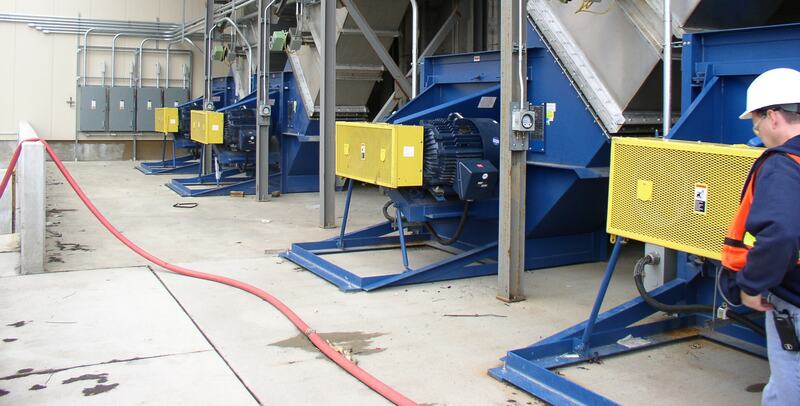 Because efficiency and noise are a requirement for paint booth exhaust fans, we have designed a diverse range of products that can accommodate these requirements and cover a wide range performance.